"Trial Settings. Contested detainer matters shall be set for a trial by a judge alone unless a jury trial is demanded by the plaintiff in the complaint or by the defendant at or before the initial appearance. Failure to request a jury trial at or before the initial appearance shall be deemed a waiver of that party's right to a jury trial. 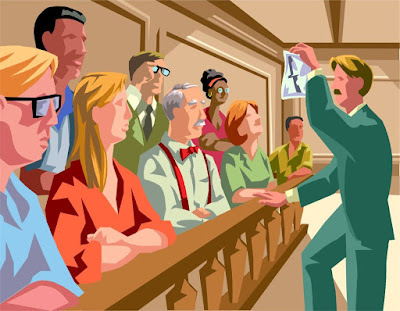 At the initial appearance, if a jury trial has been demanded, the court shall inquire and determine the factual issues to be determined by the jury. If no factual issues exist for the jury to determine, the matter shall proceed to a trial by the judge alone regarding any legal issues or may disposed of by motion or in accordance with these rules, as appropriate." Rule 12(a) of the Rules of Procedure for Eviction Actions provide us with the necessary steps for having a jury trial. The court will permit seven jurors in the justice court and 9 jurors in the superior court.